Tiamo De Vettori has spoken to over 100,000 people on 250+ stages at conferences and seminars and combines speaking with original live music to deliver “Keynote Concerts”. He has appeared on FOX, CBS, and NBC, and is a #1 best selling author. With an acoustic guitar, unforgettable stories, captivating singing voice, charismatic stage presence, and inspiring original songs, Tiamo is a Motivational Keynote Speaker who creates an experience so unique, dynamic, and engaging for audiences! the U.S. like the California State University state-wide campuses, having Tiamo on your stage is so empowering for employees, students, and seminar participants not just during the event, but well after! Tiamo has shared the stage with other #1 best-selling authors and speaker icons Les Brown, Brian Tracy, T.
Harv Eckker, Joe Polish, Lisa Nichols, John Assaraf, Loral Langemeier, Lisa Sasevich, Christian Mickelsen, Sean Stephenson, Bill Baren, Ted McGrath, and many others. 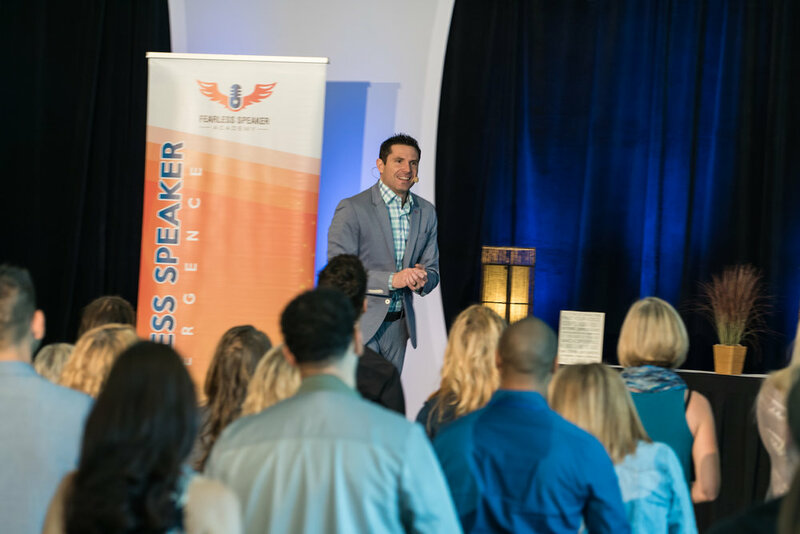 Tiamo was featured as a “Coach to Watch” by the Amazing Women and Men of Power Magazine and now leads his own multi 6-figure training seminars for aspiring speakers as Founder and CEO of Fearless Speaker Academy.